Imported spec Mercedes-Benz with CD player, 17″ wheels and Tuner/radio. Price reduced! Imported spec vehicle with 6 cylinder engine, red interior and automatic transmission. 2013 Mercedes-Benz C 63 AMG price AED 280,000, with MP3 interface, spoiler, USB. It has red interior and is Blue. Automatic, 20 inch wheels, USB, power locks, red interior, black exterior. Automatic Mercedes-Benz C 200 with 19 inch wheels, tuner/radio, power locks, burgundy interior, blue exterior. Mercedes-Benz C 300 with many features, including spoiler, alarm, parking sensor rear. Grey/Silver with black interior. Mercedes-Benz C 200 Coupe ///AMG / 2017 / DEALER WARRANTY / FREE SERVICE CONTRACT / FSH / ONLY 2,596 DHS MONTHLY! Mercedes-Benz C 200 Coupe with many features, including phone set, power seats with memory, navigation system. White with red interior. 2015 Mercedes-Benz C 200 price AED 103,500, with airbags (front and side), cruise control, rear camera. It has other color interior and is Black. Automatic Mercedes-Benz C 63 Coupe with 19 inch wheels, ABS, power locks, white on the outside, black interior. 2018 Mercedes-Benz C 300 black sedan, black on the inside with alarm and airbags (front and side). 18″ wheels. 2013 Mercedes-Benz C 63 Coupe with features such as power locks, power windows, tuner/radio. It has red interior and is White. GCC spec. GCC spec 2013 Mercedes-Benz with Tuner/radio, 17″ wheels and Power locks. Price reduced! Automatic, 18 inch wheels, navigation system, airbags (front and side), beige interior, white exterior. Price: AED 99,000. Mercedes-Benz C 63 AMG black sedan, red on the inside with parking sensor rear and airbags (front and side). 19″ wheels. Mercedes-Benz C 63 AMG with many features, including LED headlights, MP3 interface, parking sensor rear. White with brown interior. Imported spec grey/silver coupe, black interior with bluetooth system, DVD-player and a 6 cylinder engine. GCC spec, white 4 cylinder convertible with red interior. It has ABS and sport suspension. Imported spec Mercedes-Benz C 180, white sedan with black interior. It features USB, 17 inch wheels and rear camera. Adam - Nothing can beat a second hand C63 AMG. It’s powerful, looks and sounds amazing and on top of all that it still has many luxury options. Pros: Resale value, options, noise and looks. Aziz - The C250 coupe is great, the turbocharged four-cylinder motor is fuel efficient, and the car looks great and handles like a dream. Cons: Interior is outdated after only a few years. Basher - I got my pre owned C43 AMG for a good price, and it’s a fantastic car, even though it’s old it still looks good to date and the engine is still powerful. Pros: Handling and engine power. 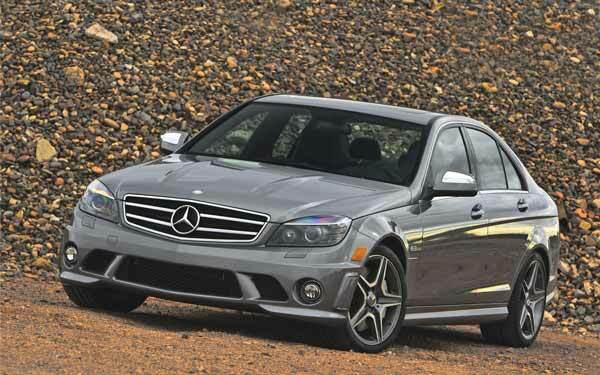 The Mercedes-Benz C63 AMG. In 2008, with a massive 6.2-litre engine it was marketed as a ‘family’ sports sedan. These cars were insane - they even released a version with a higher output. 2016 models are pretty potent too with an engine similar to the AMG GT. It’s not just the C63 AMG which is popular; the entire C-Class is popular especially here in the UAE giving them fantastic resale value, whether they are import vehicles, Dubai vehicles or you want to export and sell it elsewhere, someone's going to buy it. With a wide variety of engines, there’s something for everyone to enjoy. They may have a reputation for being sports sedans, but that doesn’t mean they don’t deliver regarding comfort. Not just a variety of engines but a variety of body styles; Coupe, Sedan, Estate and Cabrio. 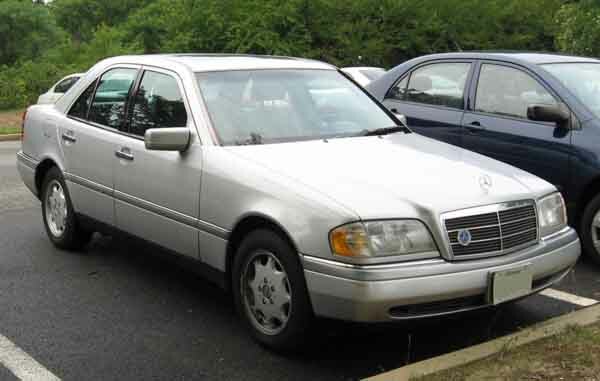 C-Class models were introduced in 1993, taking over from the 190 series. It’s seen multiple generations to date and over the years have produced some of the most memorable Mercedes-Benz vehicles to date such as the C 63 AMG. It’s hard to believe up until the late 90’s; C-Class models served as the entry-level cars of the entire Mercedes lineup before the A-Class was introduced. As with every vehicle on the road, there are plenty of rivals trying to take away sales including the BMW 3 Series, Lexus IS Series and the Audi A4. Entering the market with a boxy rear end and a slightly rounder front end, they struck up quite a resemblance to other Mercedes vehicles in the lineup. Standard features included fabric seats, basic power accessories and a radio tuner. Optional extras included a sunroof, cruise control, navigation, Bluetooth options, powered seats and leather seats. 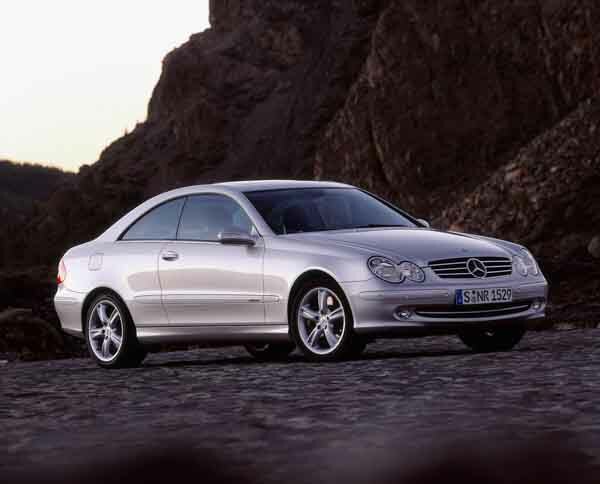 In 1997, C-Class models received a minor update that included darker tail lights and a selection of new rims. 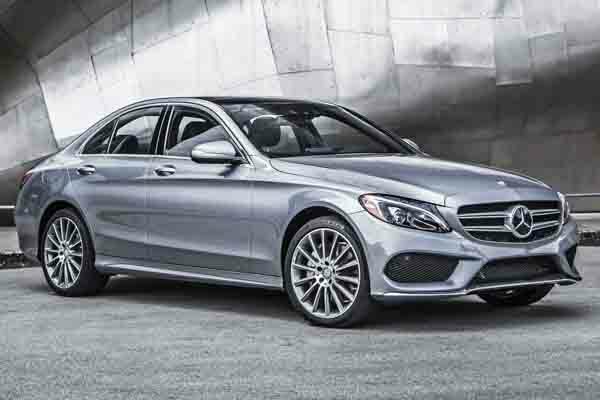 A 1.8-litre motor powers C 180 models, C 200 models have 2.0-litre four-cylinder motors, C 220 have 2.2-litre I4 engines, and C43 AMG models are equipped with a 4.3-litre V8 pumping out 306 horsepower. Power is sent to the rear wheels via standard five-speed manual transmission or an optional four-speed automatic. Over the years, a five-speed automatic and six-speed manual transmission were both on offer. Prices in this generation start at AED 10,000. 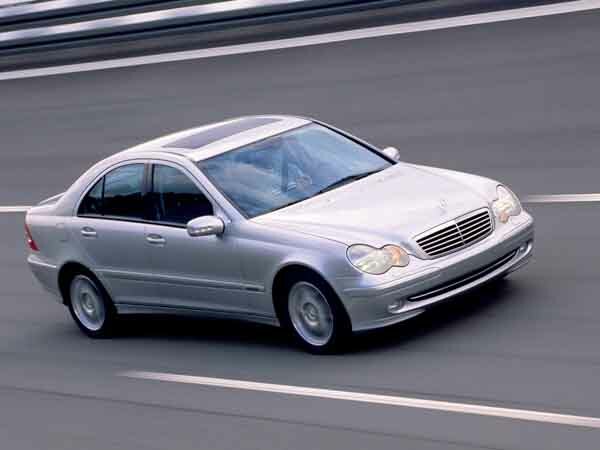 2001 saw the C-Class receive a rounder rear end and new standard features; COMAND computer system and a few others transitioned from extra to standard. Leather seats, navigation, media inputs, moonroof and power seats with memory remained as additional features. 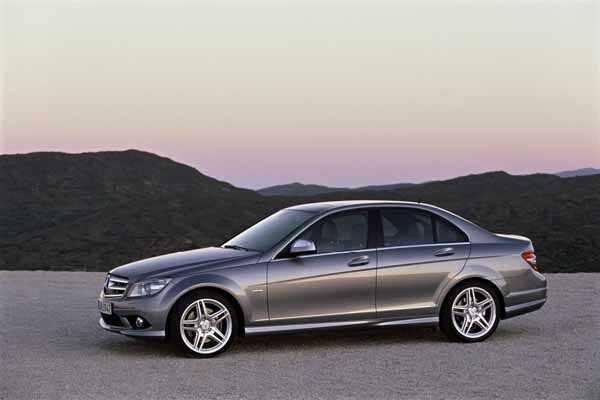 2005 saw the C-Class receive a refresh mainly to the interior with a lite touch up to the front end. Bluetooth pairing and USB inputs were added to the optional extras list. This generation introduced us to the C-Class coupe body style. With either a four or five seat setup, standard features and additional features remained similar. Prices in this generation start at AED 15,000. Another generation and another redesign, however, all the interior options and exterior options remain the same. Options such as parking sensors, reverse camera, memory seats, navigation and Bluetooth became standard on top of the range models as did leather seats. 2008 introduced us to the maniacal C 63 AMG. Featuring identical bodywork to standard C-Class models, these sporty sedans had cuts and bumps in the bodywork, a rear spoiler, 19-inch alloys, unique badging, sports seats and other optional extras, plus a much more aggressive exterior. A coupe C63 AMG is available as well with an optional Black Series model, which features even more, unique styling to give it more of a race car look, two seats, massive rear spoiler and roll cage. All but one model and engine carry over to this generation, with the C32 AMG being dropped from the lineup. Changes were made to upgrade fuel efficiency and output. One new engine does join the list; 6.2-litre naturally aspirated V8 engine pumping out a mega 457 horsepower enabling a 0-100 km/h time of 4.5 seconds! A 503 edition is also available which increase output to 503 hp! C 350 models are also available in this era. Prices in this generation start from AED 43,000. With a complete overhaul for the entire C-Class range, new headlights, front grille and rear lights are added to the other shell. With a multitude of new materials used inside and out, the German manufacturer decreases overall weight by 100 kilos. All standard features return across the board with a wide variety of additional options including heads-up display full LED headlights, COMAND system with touchpad, reverse camera, leather upholstery, navigation, spoiler and more. 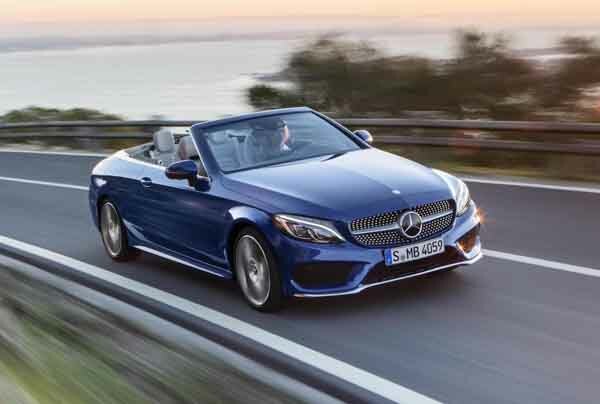 This new generation introduced the world to the C-Class convertible. With a four-seat setup, all the standard features were made available along with all the optional extras. While they do strike up a similar resemblance to the S-Class coupes, C-Class models feature the new grille with diamond shaped inserts and unique headlamps to set it apart from the top of the range models. Wagon models are also available but are few and far between in the GCC. C 180, C 200, C 250 and C 300 models are powered by a 2.0-litre four cylinder petrol motor driving either the rear wheels or all four wheels. C 400 and C 450 models are equipped with a 3.0-litre six-cylinder petrol engine. C 63 AMG and C 63 AMG S are equipped with a V8 4.0-litre turbocharged petrol motor pumping out 469 to 503 horsepower.